Fancy drinking a French vanilla coffee? For sure, the first thing that you will think of is to go to Starbucks or any other coffee shop within your area. Sure, their coffee will taste good and it is convenient. However, they are expensive. This is especially true if you drink it every day. With this, there is one thing that you can do – make your own drink at home. The distinct flavor and aroma of French vanilla coffee can be enjoyed even without the need to head out, fall in line, and spend a lot for an overpriced cup. 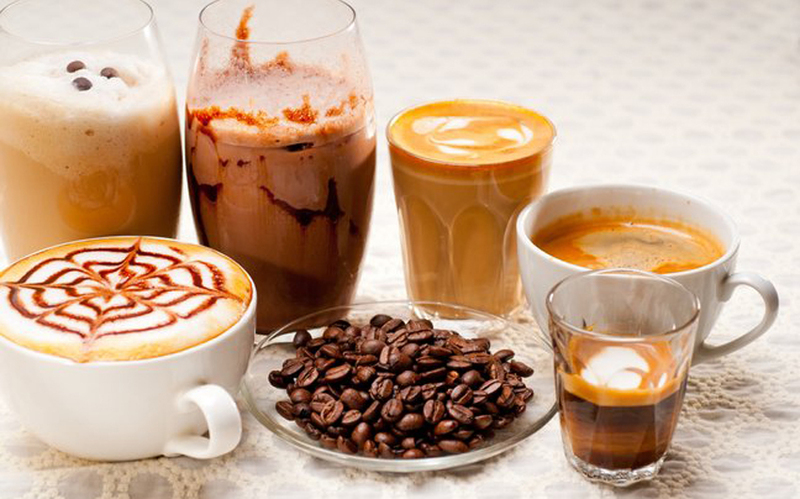 Keep on reading and we will provide you with insights on how to make French vanilla coffee. In the end, you will realize that it is not actually as complicated as it seems. Even without extensive knowledge or formal barista training, you will still be able to do it. Fill your coffeemaker with the desired amount of water. This will depend on a variety of factors, such as how much you will be drinking or how many people will be consuming the drink that you will make. Be sure to not overfill. Add the ground coffee that you would like to use. As usual, you can choose to use instant coffee. But if you want to enjoy better quality, it would be best to grind fresh beans. There are grinders commercially available, making your life a lot easier. Next, add the crushed vanilla beans in the container. You do not have to crush the beans too much. You just need to make sure that it is broken, allowing the vanilla extracts to come out and to add flavor to your drink. You can also opt to add a tablespoon of sugar, if preferred. This is commonly done by people who are looking for something sweet. Nonetheless, the vanilla that is already included in your coffee will already be enough. Start the brewing process. This will depend on the specific type of brewer that you are using. Once the water is hot enough, not necessarily boiling, your coffee is already finished. Have it transferred in the cup and finally, enjoy! In the discussion above with regards to how to make F﻿rench ﻿﻿Vanilla coffee, the coffee and the vanilla extracts have been combined. You also have the option to make your own creamer and add it to your coffee. This can be done by following the simple steps that will be mentioned below. The first thing that you have to do is to fill your jar with about two cups of half and half. If in case you do not have a half and half, there is an easy substitute that you can make on your own. You just have to combine one cup heavy cream with one cup of whole milk. On the other hand, if you want it to be creamier, you can reduce the size of t﻿﻿he heavy crea﻿﻿﻿m to just half a cup and have it combined with half a cup of milk. Next, add 1/4 cup of maple syrup in the mixture. Some people may opt to use honey in order to add a hint of sweetness. However, the problem with honey is that it usually just stays on the bottom. Maple syrup, on the other hand, will stay suspended and will not separate from the cream. The next thing that you have to do is to add about one to two tablespoons of French Vanilla extract in the jar. Make sure to choose an extract that is pure and high-quality. If you use an extract that is cheaper, this will be easily noticeable in the quality of the output. Once you have all the ingredients together in the jar, you simply need to have it stirred. Use a spoon or a mixer in order to blend the ingredients. You can also cover the jar and shake it. Make sure that all of the ingredients have blended with each other. Put it in the fridge and every time you feel like having coffee, just take out the jar and use a tablespoon or two of the mixture, depending on what tickles your taste buds. See? As proven by the steps above, it is very easy! You no longer need to keep asking how to make French Vanilla coffee. The steps that have been outlined earlier, hopefully, have made things a lot easier. With a little effort and time to spare, you can come up with high-quality coffee-based beverages at the comfort of your own home, with taste and quality similar to what you can expect from the likes of Starbucks.